Alexandra Suhner Isenberg has been active in the fur trade since 2009 and from 2014 until 2018 was Social Media Manager and then Director of Online Communications at Truth About Fur. A Canadian with a background in fashion, Alexandra developed a passion for fur when she worked as a designer in some of the top luxury fashion houses in Paris and London. She began working in the fur trade when returning to Canada after a decade in Europe. She has lectured about the fur trade and is an advocate of the industry who has visited farms, auction houses, and trade shows across the world. As of 2018, she resides in Sweden, where she runs her own company producing sleepwear. Here she is shown visiting a Finnish fox farm in 2015. "So many people think the fur industry is about glamour and rich people wearing fancy coats," she says. "That's only a tiny part of the industry, and the part that I see is the opposite of that. 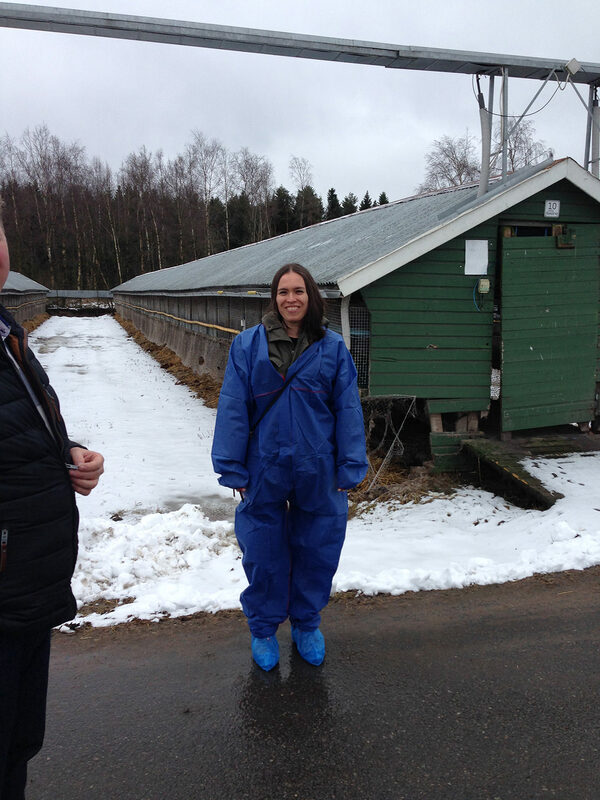 Visiting a fur farm is usually the opposite of glamorous: here I am at a fox farm in Finland wearing the regulation hazmat suit. These lovely outfits need to be worn by any visitors on the farms, in order to protect the animals from any outside germs."